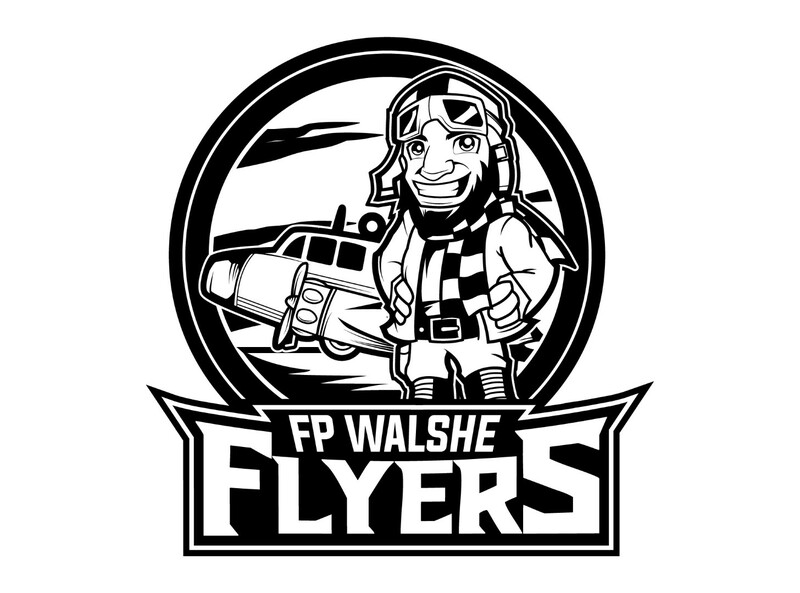 The FP Walshe Flyers have been in Fort Macleod for as long as anyone can remember. 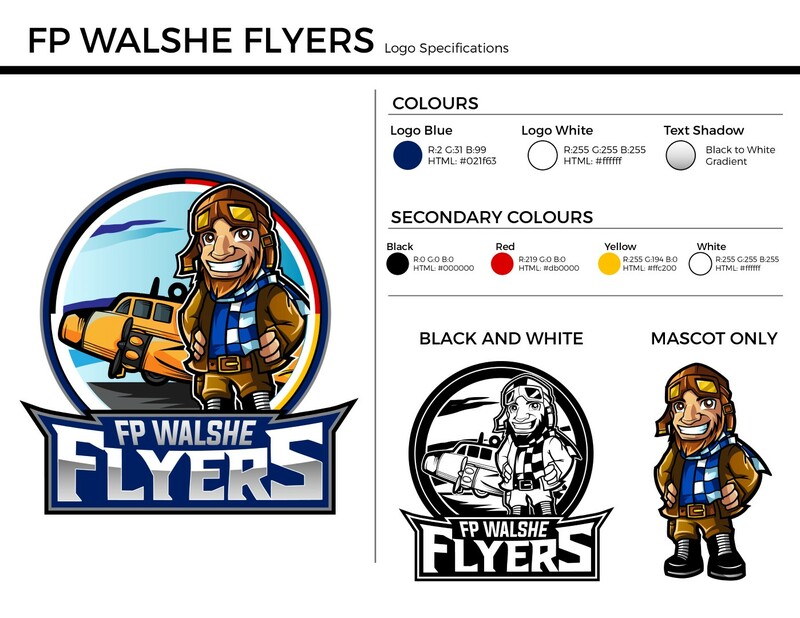 They had an original logo with their mascot, Angus, on it. 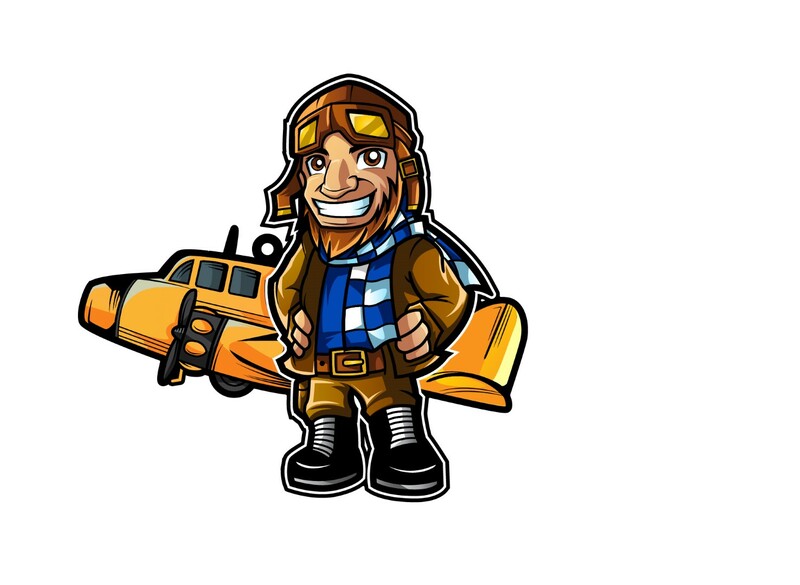 They wanted a new look, that included Angus in an aviator suit, and a plane on the back. The plane is a Avro Anson, a plane that was used in WW2 for training purposes. Also, the ring around the logo has the colours red, yellow, black, and white, which is symbolic to the FNMI.